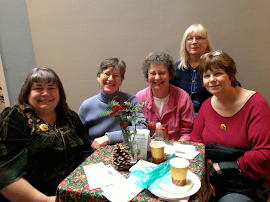 For some time, I’ve been ruminating on the idea of crowdsourcing – as it pertains to genealogy. The concept is to divide work between family historians to achieve a mutual goal, and that goal being to establish a shared FAN Club. 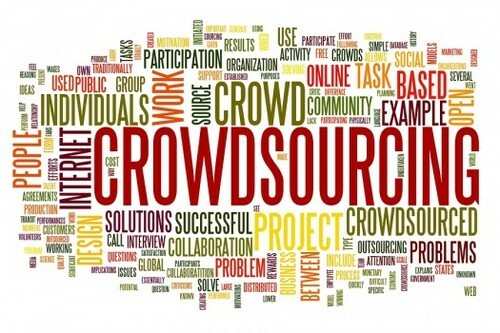 To begin, let’s define the two concepts: FAN Club and Crowdsourcing. 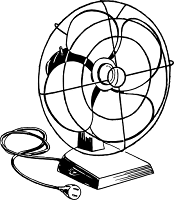 Revered genealogist Elizabeth Shown Mills coined a phrase that explains a genealogy methodology we should all be familiar with - "FAN Club." FAN stands for Friends • Associates • Neighbors. It refers to researching everyone in a cluster around your ancestors: friends/family, associates, and neighbors. This is also called cluster or collateral genealogy. Sometimes your direct ancestor is elusive. Research the group(s) surrounding your ancestor. Look at the siblings, cousins, neighbors, church members, or other community members. Many times following them and their migrations or settlement patterns will lead you back to your own ancestor. Merriam-Webster Dictionary defines this as ‘the practice of obtaining needed services, ideas, or content by soliciting contributions from a large group of people and especially from the online community...’ In essence, it is a group of people teaming up to reach a specific goal. If we marry these two ideas and add to them the information that can be found in Find-A-Grave, the result could be an excellent resource for researchers. Michael Cassara defines the concept of ‘Cemetery Crowdsourcing’ as 'to obtain information or input to a particular task by enlisting the services of a number of people, either paid or unpaid.' Find-A-Grave, to some extent, is just that. It helps you locate a cemetery and view profiles of people who are buried within the boundaries of that particular cemetery. But what if, you have ‘like people’ (ancestors), from around the world, who are buried in different cemeteries – all in one place. Could that not also be a valuable resource? So: let's add one more element to this mixture - the bygdelag. A bygdelag, as defined the Bokmål Dictionary, is ‘an association (in a foreign place) by people from the same village or region.’ The oldest, and largest, bygdelag in America is the Valdres Samband. In Andrew Veblen’s 1925 publication “The Valdris Book”, he writes ‘… those Americans who are in any degree of Valdris strain or descent, doubtless outnumber their kinsmen in the old home valley two or three times over.’ So one could conclude that there are ancestors with origins in the Valdres Valley buried all over the world. So, I’ve outlined an initiative to get family historians who have ancestors born in a particular community (say the Valdres Valley, Norway) to work together to build a ‘virtual cemetery’ on the Find-A-Grave website. The website describes a virtual cemetery as 'a collection of names found on Find-A-Grave grouped by any specification a member wishes.' Memorials listed in Virtual Cemeteries can be buried in multiple different cemeteries. I’ll keep you posted on the development of a ‘virtual cemetery’. I'm it will be a successful venture. Excellent idea! A tool for researchers on both sides of the Atlantic to reunite families.